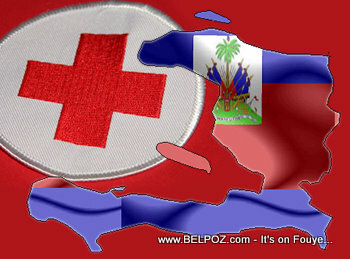 Are you looking to get a JOB with the Red Cross in Haiti? Then I have good news for you... The Red Cross has quite a few job openings in Haiti. Thes Haiti Red Cross Job openings are available in the website for the International Federation of Red Cross and Red Crescent Societies. Big thanks to the subscriber who sent me this info. I normally drive garbage trucks, roll-off, dump trucks and buses. I also has license to forklifts and bulldozers. I am a team Leader, who is willing and ready to help out in any way that I see fit. I am a people person with good communication skills and have a lot of call center experiences. I hello in Jesus to you all. My name is Mr. Gesner Deslandes, I live in Port-au-prince Haiti. I've been working for Saint-Antony Haiti mistries since 2012,they come to Haiti every six month, I am looking to apply for a position more stable. I drive for them to a countryside, and I am also an interpreter. I have a bachelor's degree in Business Administration. I would be proud to work for prestigious institution like yours. I rejoice to hear this hiring anoucement of the red cross for Interpreter or driver. I have studied Interpreting and I have relevant working experiences. In addition to that I have computer and driving literacy and other credential to work with all kinds of people under pressure.